Has Nikon's budget-busting pro camera got the X factor? Updated: read our full review of the Nikon D3X. With the Nikon D3 currently retailing for around £2,500 it's going to take a lot for professional photographers to dip into their pockets once more for the £5,500 D3X. But while this budget-busting camera laughs in the face of the credit crunch, does it deliver enough to warrant its cost? TechRadar were lucky enough to get a quick hands-on with the DSLR today, and on first impressions we were extremely impressed. Those who are familiar with the D3 will be right at home with the D3X, as the camera is the same in looks and feel. Nikon have taken nothing away from the robustness of the camera, with the D3's same chunky grip welcome, especially when what you are holding costs the same as a small car. In fact, ergonomically there's nothing different that we could see between the D3 – a model which dates back to 2007 – and the D3X. This is a shame, as all other updates Nikon has done this year have included, albeit minor body, tweaks. The 'nothing's changed' trend continues when you actually take a photograph. While the 51-point metering system is a feast for the eyes, it's the same as on the D3 – with myriad red rectangular boxes vying for your attention. Because of its massive megapixel count – the D3X more than doubles the pixel count of the D3, from 12MP to 24.5MP – the camera is a tad sluggish in taking continuous images. Nikon are quoting around 5fps in its highest mode, whereas the D3 could shoot bursts nearly double that of 9fps. Shooting one image at a time is fast, however, with no noticeable lag whatsoever. Basic controls on the D3X are, again, the same as on the D3. The D90 and the D700 both featured new controls layouts, so it's a little strange that Nikon has opted not to update for its flagship camera. What is new is the inclusion of an ADR (Automatic Dynamic Range) mode. This was introduced with the D700 and is a welcomed option for those who don't want absolute control of their images. The biggest difference has to be the camera's pixel count. It may not be the world's biggest megapixel count on a DSLR – that still goes to the Sony Alpha A900's 24.6MP – but it is massive, clocking in at 24.5MP. Compared to the D3, this means that images can be enlarged an extra 42 per cent (approximately). For studio shooters, this will be a boon, for the rest of us the size difference is merely negotiable. But then the D3X is aimed squarely at professionals looking for a medium-format alternative; a camera that harbours extreme resolution but is also portable enough to easily take outside for shoots. If you are a photographer who is looking for these requirements, the Nikon D3X could well be for you. 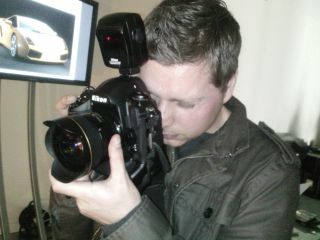 Look out for TechRadar's full in-depth review of the Nikon D3X, which will be online soon.